Today Ghosh and Koreitem are business partners. Though specifics of their startup are top-secret for now — they can say only that it involves using machine learning to provide simple solutions to data-rich problems — they both credit their undergraduate education with preparing them for the world of entrepreneurship. 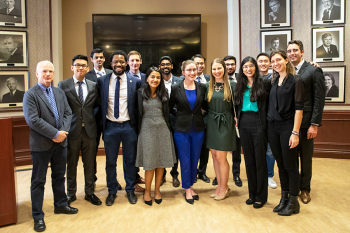 “The variety of opportunities within the U of T Engineering community, combined with a strong culture of leadership, helped us develop the diverse set of skills and critical perspective that we needed to drive our startup idea forward,” says Ghosh. 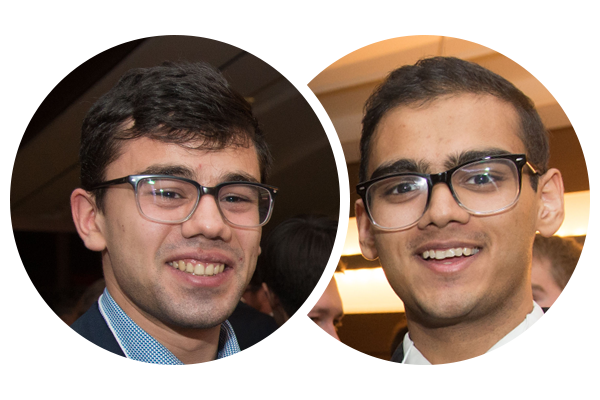 Ghosh and Koreitem are two of the four recent U of T Engineering graduates selected for this summer’s cohort of The Next 36. Founded in 2010 and championed by Canadian business leaders W. Galen Weston, Paul Desmarais, Sr. and Jimmy Pattison, The Next 36 aims to fast-track the development of Canada’s most talented young innovators. 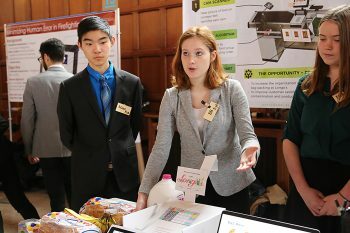 More than 30 U of T Engineering students have been selected for the program since its inception, nurtured by a rich ecosystem of on-campus support for entrepreneurship that includes Start@UTIAS, The Entrepreneurship Hatchery and many more startup accelerators within the Banting & Best Centre for Innovation & Entrepreneurship. 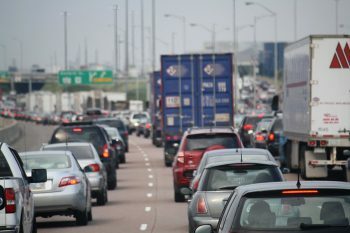 “The Next 36 connects you with an unbelievable community of new and established Canadian entrepreneurs,” says Koreitem. “It’s an incredible opportunity.” Both students say their leadership roles on design teams — Koreitem with the University of Toronto Robotics Association and Robotics for Space Exploration; Ghosh with the University of Toronto Aerospace Team — contributed to the success of their applications. 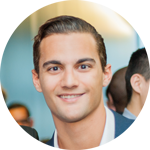 Mazzuca has just finished his undergraduate degree and is already on his second startup. In 2014, he and his co-founder Jamie Britt started Protractr, which helps homeowners and building contractors work together more seamlessly by providing online tools for communication and project management. More than 300 contractors are currently using the platform. 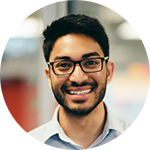 One of the lessons that Samantray learned during his undergraduate degree was the importance of effective teamwork, a challenge he hopes to address with his startup, Tandem. Tandem is an online tool that integrates directly into developers’ work flow, allowing them to make changes to their colleagues’ code base in real time. It is compatible with popular messaging platform Slack and several integrated development environments, giving developers the freedom to use applications of their choosing. Tandem received support from The Entrepreneurship Hatchery as part of its 2015 cohort, and Samantray is pursuing it full-time as as part of The Next 36.